One very early morning in Japan I saw this fox walking in the direction of a couple of Japanese cranes, and wondered what was going to happen next. I expected that the presence of the fox would soon scare off the cranes, but it didn't. 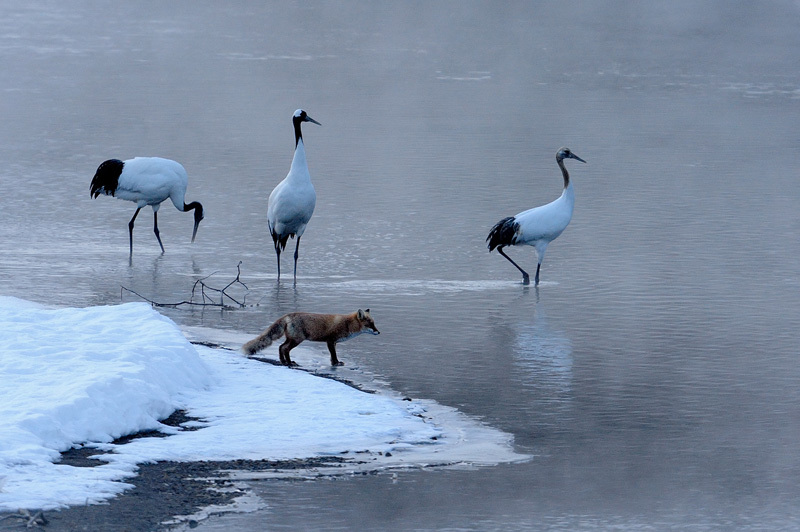 The fox slowly walked to the water to have a drink, and the cranes couldn't care less.